You're able to vote once a day for Minecraft Server "EmberRealms Avatar Survival" on Planet Minecraft. This United States server has been on PMC since Jan 16th, 2017 and this month they have 7 votes. 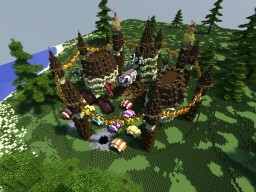 Voting for this Minecraft server helps them rise the server charts on Planet Minecraft. Thanks for helping them grow.